As an 8-year-old child who was targeted for an anonymous, impersonal, unfortunate but deliberate death amongst tens of thousands of other children in Hiroshima, Shigeaki Mori met the coldest, darkest, most powerfully destructive element of humanity---warfare. That it would be best if he and so many others should die in a terrifying nuclear holocaust in order for so many others to have a chance to live, was a role that never could have occurred to him, nevermind chosen for himself. Instead of dying in order to end World War II (The Pacific War), he survived, imbued with empathy for those around him and the people who had targeted him and his families and friends for sacrifice. As an adult, he dedicated much of his life to to the view that humanity can eliminate the term enemy combatant and instead value humanity simply as children, women, and men---all of whom are worthy of peaceful life. Mori, one of the Hiroshima hibakusha (bomb affected persons) wrote Secret Histories..., a book that is about the greatest impact on his life. Surprisingly, it is not a book about his suffering as a hibakusha. It is not about cultural fear or shame that covers up his experience and life history and demands that he be shunned and quietly stigmatized. It is about the deaths of young men who brought war and death from afar. The author of this book, originally written in Japanese, is Shigeaki Mori, born in 1937. He lives in Hiroshima with his wife, Kayoko. Mr. Mori was an 8-year-old child who was walking to school with a friend when they were suddenly blinded by an intense "pika" flash of light and both boys were blown by a nuclear blast––from the first deployed atomic weapon––across a small pedestrian bridge and into a creek. Although his companion died, Mr. Mori survived that day and has endured a lifetime of consequences from that experience on 6 August, 1945. With his lifelong work to investigate and report the fates of men who were supposed to be his enemy, Mr. Mori has redefined what it is to be hibakusha. Many hours, days, even years of active research were conducted over decades, mostly independent from supportive academicians and formally trained historians of Japan and the United States. He recognized that the surviving families of the POWs in Hiroshima deserve to know what happened to these young men who were sacrificed in war. For decades, Mr. Mori has sought out the American survivors and the families of the Americans who were killed in Hiroshima in order to share what he has learned. He worked a second job in order to create the only historical marker in Hiroshima that is a tribute to the American POWs who died in Hiroshima. Mori and a very few others gave us the stories of the American POW's and with that we have a more complete picture of the costs of warfare. His carefully prepared narrative is as sincere, open-handed, and rich gift. It is the culmination of his research and attention to the reality of a handful of American war victims and their families. In its publication we learn learn context of the end of the World War, and of his own accomplishments and of his gracious and magnanimous mein of a hibakusha. Mr. Mori carries to many of his speaking engagements a framed photograph of Thomas Cartwright. That they could have a friendship literally means the world to him. The photograph above contains one of the two remaining images of the author as a child. Born 29 March, 1937, it seems that Mori's life has a number of beginnings. "The Hug Heard 'round the World"
President Obama was the first sitting US President to visit. Hiroshima. The President asked that two special guests attend, both atomic bomb survivors. He embraced Mr. Mori, who was quite moved by President Obama's historic visit and historic speech, which included recognition of Mori's work. Shigeaki Mori enlisted a childhood friend, Paul Satoh, to locate Tom Cartwright, the pilot of Lonesome Lady, and later to translate his book into English with the intent of having the book published in the United States. 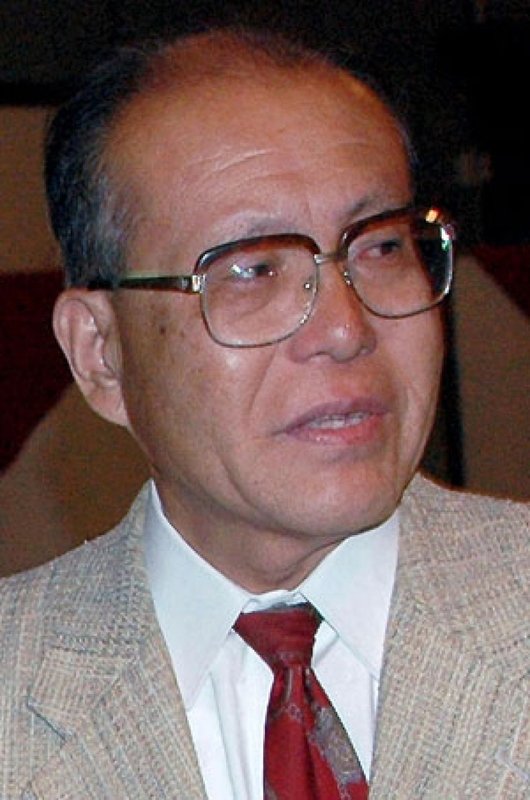 A Professor Emeritus of Michigan State University, Dr. Satoh began that work. Yukako Ibuki, a retired Japanese and English teacher in Tokyo and now world-wide peace activist, joined the effort. The final editor is Mark Shavers, a family friend of Tom and Carolyn Cartwright, whose day-job involves performing cancer risk assessments for astronauts, a cohort that is exposed to cosmic radiation during their space missions. While at Pack Creek, Utah, in 2015 to attend a celebration of life ceremony for Tom Cartwright, discussions between Y. Ibuki and M. Shavers about the English version of the book led to Ibuki's suggestion that Mori's book be published online. Mr. Mori agreed, and after two years of effort the authorized The Secret History... is published here and has an open-voiced future.